10/31/1990 Randy Cunneyworth plays in his 400th career NHL game vs Montreal. 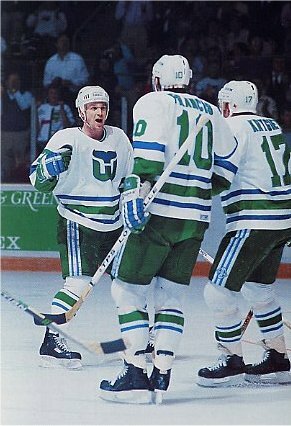 12/21/1991 Randy Cunneyworth plays his 100th career Whalers game vs Montreal. 4/25/1992 Randy Cunneyworth scores the game winning goal vs Montreal in game 4 of the playoffs. 4/27/1992 Randy Cunneyworth scores the game opening goal shorthanded vs Montreal in game 5 of the playoffs.